Should I use WordPress or Joomla to build my site? Should I switch my site to WordPress or stay with Joomla? 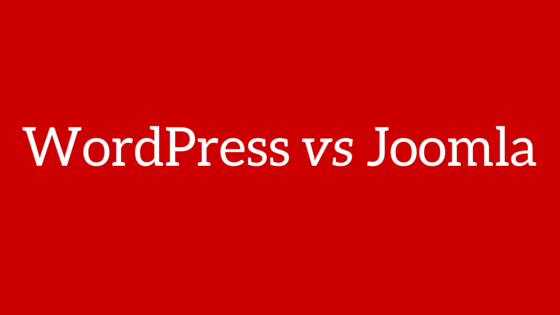 What are the differences between the JReviews versions for WordPress and Joomla? Should I choose WordPress or Joomla for my site? This question gets asked by two types of clients. Those that have never used either platform or only have experience with one of them; and those that have experience with both Joomla and WordPress. Core CMS features: WordPress ships with a minimal set of features. For example, it doesn't come with e-mail configuration settings or a user-friendly login form you can display on your site. It also doesn't offer self-activation of user accounts. It's not possible to associate specific widgets to display in certain pages/posts and not others. A ReCaptcha solution is not integrated into the core to prevent spam user registrations. A core caching implementation is also missing from the core. These are just some of the things that are missing from a stock WordPress installation, but they can all be solved through 3rd party plugins. It's important that you keep this in mind if your reason for choosing WordPress is simplicity and lack of bloat in the core. It is missing a lot of things you'll want for a user-driven site that doesn't just function as a Blog. Joomla, on the other hand, comes with all of these missing features built right into the core. So out of the box, you get a platform that's geared towards site visitor interaction. It includes comprehensive email settings. You also get the login module and the self-activation feature out of the box. ReCaptcha and cache plugins are also included. Search Engine Friendly (SEF) URLs: One advantage of WordPress over Joomla is that by default you get nice URLs without numeric ids for the different pages on the site once you activate permalinks in the WordPress settings. In Joomla, there are many 3rd party solutions to choose from to generate SEF URLs. However, we've put together our own JReviews SEF Plugin that ships with JReviews to take care of this problem in Joomla and you can get nice URLs as well as long as you follow our advice in the documentation and create all required Joomla menus. The process is a bit more involved than with WordPress because you need to create menus for categories, but it's something you'll most likely do once when first setting up your site and every so often if you decide to create a new category. Search Engine Optimization (SEO): While having nice URLs is important for SEO, that's not everything that's required. I've often heard claims that WordPress is better for SEO, but as far as JReviews sites go, I don't think this is really the case. We have many clients with successful sites in Joomla that are well indexed by Google and ranked high in Search Engine Result Pages (SERPs). We've also implemented many important SEO features in JReviews which work in both WordPress and Joomla. On either platform, it's important that you spend some time optimizing your navigation structure and page titles. Also, pay attention to having original content, a powerful server for faster loading times, a theme or template without too much bloat and don't go crazy installing 3rd party solutions. We've put together a list of the 5 most common mistakes clients make when starting a review site and some of those are relevant here. 3rd party ecosystem: Both platforms have large ecosystems with thousands of 3rd party free and paid solutions. So it's likely that you'll be able to find something you can use in both platforms to complement the directory and reviews sections that you build with JReviews. Themes and Templates: Similar to Plugins and Components, the are plenty of options to choose from when deciding on a WordPress Theme or a Joomla Template. Just like we offer the iReview Theme for WordPress and the iReview Template for Joomla. many theme and template developers offer the same versions of their templates for both platforms. So choice is definitely not something you'll find lacking in either platform. Hosting: There are many specialized hosting providers providing support specifically for Joomla and for WordPress and the server requirements for both are pretty much the same. You can run both Joomla and WordPress sites on the same servers so hosting should be a non-issue when making a decision. If you have previous experience with both WordPress and Joomla then, once you consider all of the above points, it really comes down to a matter of personal preference and the particular needs for the site. Familiarity with 3rd party solutions: just like we did with JReviews a couple of years ago, recently many Joomla developers have ported their extensions to WordPress to expand their market. If you relied on a particular extension for Joomla which you know you want to use for your WordPress site check if it's also available for WordPress before making a decision on a new site or migrating your site from Joomla to WordPress. So what if you are already using Joomla, but everyone is saying Wordpress is better, or you've already started building other sites with WordPress and like it better. I'll tackle that with the next question. The majority of our clients use JReviews for Joomla because we released the Joomla version in 2006, while the WordPress version was released in 2014. So it makes sense that clients want to know whether they should move to Wordpress and not the other way around. Knowing that you get the same functionality with JReviews on both platforms, I believe that this really comes down to a matter of personal preference. If you are considering migrating at all it's because you already find yourself more inclined to use WordPress. However, unless you know for a fact that you'll be able to do something in WordPress that you are not able to do in Joomla, or there's a plugin you really want to use, then maybe the transition is not really necessary. Dozens of clients have successfully migrated their JReviews-based sites from Joomla to WordPress since we released the JReviews version for WordPress. We collaborated with a WordPress plugin developer to add JReviews migration support to his existing Joomla to WordPress migration tool and this turned out to be a very good idea and extremely helpful for our clients. If this is something that interests you then make sure you read our documentation article with the steps on migrating your JReviews site from Joomla to WordPress. Although this isn't something you need to worry about as an end-user of our products, from a technical standpoint, we use the same code base for both Joomla and Wordpress. To solve important differences between platforms we have extracted the code into Content Management System-specific files. For example, since we use the native content systems of both Joomla and WordPress for JReviews categories and listings, the database queries that we make for categories and listings are completely different. So we have created different versions of the Category and Listing models for each platform. What is important to you as a user, is that our clever approach for solving the platform differences has so far guaranteed that every new feature and JReviews Add-on we have developed, since first releasing JReviews for WordPress 2 years ago, is compatible with both WordPress and Joomla. When it comes down to using Jreviews in WordPress and Joomla there are some minor differences which don't affect the overall functionality because we've put a lot of effort into developing solutions to make JReviews work exactly the same on both platforms. Joomla menus and WordPress pages: In Joomla there are menus which let you create specific types of pages for JReviews. Like a directory page, a most recent or top rated listings page, etc. WordPress doesn't have this type of functionality because most plugins rely on shortcodes that you need to paste in pages. If you have a lot of different settings you need to configure writing shortcodes can become quite cumbersome. So to get around this issue we devised our own JReviews menu system for WordPress. Whenever you create or edit a WordPress page you'll find all the settings you need on the right side to configure the page as a JReviews menu. Listing views: While Joomla includes counting article views in the core, WordPress doesn't have this functionality for posts. So we implemented our own solution in WordPress for counting post views for JReviews listings. Category images: This is the one missing feature in the Wordpress version of JReviews. While Joomla allows you to associate images with Joomla categories which JReviews can pickup and display in directory and category pages. WordPress doesn't have a category image feature. So in the JReviews version for WordPress, it is not possible to display category images. This is specific to categories, not listing photos which work exactly the same in both Joomla and WordPress. Community integration: In Joomla we provide out-of-the-box integration with EasySocial, JomSocial, CommunityBuilder, Kunena and our UserProfiles Add-on. While in WordPress we provide out-of-the-box integration with BuddyPress and our UserProfiles Add-on. Add-ons: Most of the JReviews Add-ons are available for both Joomla and WordPress, but at this time the Everywhere and FBAppFactory Add-ons have not been ported to WordPress due to lack of demand for them. Also, the Quick2Cart Add-on is specific to Joomla because it relies on the integration with another Joomla component that doesn't exist in WordPress. So I hope this answers the questions for you. Now I'd like to leave the floor open for discussion. Have you faced any of these questions yourself? Which way did you go and how did things turn out? I find myself really torn because I am rebuilding my site from scratch and Wordpress does seem to have a much bigger marketplace. Designer I want to work with also strongly favours WP. But I use both already and I actually prefer the Joomla back-end. As a non-tech person who has used both, I note that Wordpress is in the press a lot more than Joomla with the latter seeming to be more popular with people who have more experience with coding and site building. However I find the Joomla interface much easier to understand and navigate. After reading the post above I realise that there is no technical reason or SEF advantage to switching so I'm happy to stay with Joomla. The point of this blog post is to emphasize the differences as they relate to using JReviews. Many clients wonder if they should switch to WordPress just because everyone else they know is using WordPress. It is my opinion that without any tangible advantages specific to site functionality that's not really a good enough reason to go through a painful migration project when you also take into consideration that you can lose a lot of traffic in the process if URLs change. For brand new websites it's an entirely different decision and as I mentioned in the post, it depends on how familiar you are with each CMS and and the functionality you need other than JReviews. Both of them has their ups and downs even from a developer perspective. I was always a big fan of Joomla (I think it's superior in many ways...no questions here). Still, I must switch to WP some of our sites because when it comes content creation Wordpress interface (thanks to the number of ajax functions and automatic content saving out of the box), WordPress IS faster for content publishers/creators. I'll set up a comparison site soon; dedicated to comparison of the two CMS's in details including benchmarks (for scenarios with a lot of extension/plugins installed and also for a lot - 10.000+ - of articles). I have use both Joomla and Wordpress. But i choose Joomla. Why? It is more poweful than Wordpress. I don't need so much plugins to get the website to work. With wordpress you need a lot of extra plugins for many things that are standard on Joomla. Creating a URL alias structure with swedish letter Å, Ä and Ö it's easy, once you understand how it works and it doesn’t require knowledge of html. I can set articles to expire after a time, activate dates, author name, breadcrumbs etc. Thus, Joomla gives you a lot of power in your hands and that is noticeable in the admin section where there are so many options that you get dizzy the first time you go in. But once you understand how Joomla works you will not change back to Wordpress again i think.